The Arts are— the various branches of creative activity, such as painting, music, literature, and dance. I bring that up because I thought for the longest time scientists could not be creative and engineers, programmers, and accountants were not creative people. They only served as the workhorses to execute the vision of those of us fortunate enough to dance with the Muse on a daily basis. Although not everyone is an artist, everyone can (and should) be creative in what they do. If you are a truck driver, and you solve problems — congratulations! — you are creative. Mastery of any domain lends itself to a level of creativity, regardless of what that domain actually is. The proper information leads to new patterns and connections and ideas. Which means you have just as much to learn about the creative process as a bricklayer. Or in this case, a wild-eyed physician who did poorly in school. Around the time Einstein shook the world with his Special Theory of Relativity paper, physicists were already at a flex point. Those in the field were already debating the notion that there was an “absolute” anything. Work from other physicists at the time, such as Michael Faraday, had decided the work of Galileo and Newton weren’t comprehensive enough. Seeds of Einstein’s accomplishment were being planted at all sides, as the field at large was starting to realize something called “the ether” wasn’t responsible for objects appearing to move at different speeds. The word “relativity” was already being spread from professor to lab rat. Is Einstein of incredible intellect? Yes. Did he put his own ingenious spin on the topic? No doubt. But is he the ONLY one who could have done what he did? The Chosen One who came to bring light to the world? Einstein himself called the paper: “an amazingly simple summary and generalization,” which is hardly a fanfare. Yes, creativity sometimes happens in leaps and bounds. So explain to me why he is on a sweater from Forever 21. 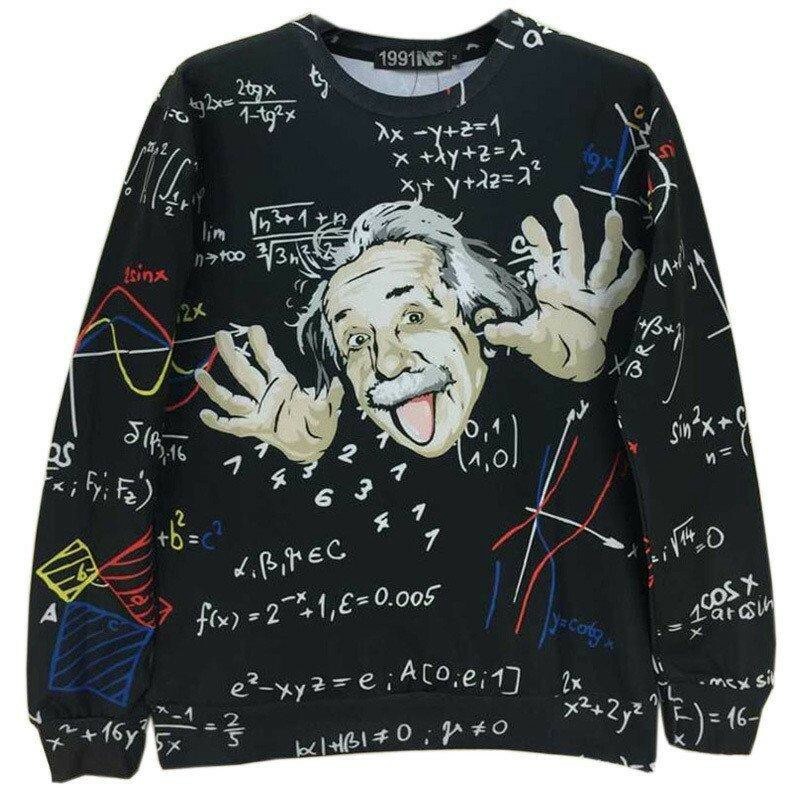 Why Einstein gear? Where is my coffee mug featuring Jules-Henri Poincaré, who is coined the phrase “principle of relativity” long before Einstein wrote is paper? Why do our children not play with toys from the Baby Föppl* company, when teacher August Föppl himself probably contributed most to Einstein’s early understanding of mechanical physics? This matters. Say what you want, but Einstein was from Germany. His name could have been Albert Schimmelpfennig. There’s no chance Americans remember that many consonants. Probably due to his time spent in a patent office as opposed to a stuffy lab with other people who were smarter than everyone else. In his later years, Big Al pretty much told everyone what he thought about everything. Including Jews, how to use atomic energy in a peaceful way, eliminating all weapons, and civil liberties. Which is basically Einstein for — If your bills are on the line, you might take shortcuts. 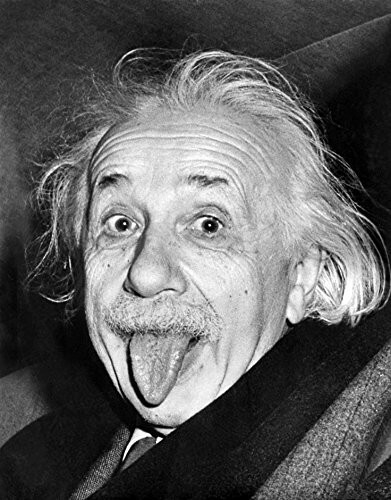 Einstein worked as a patent clerk. His earth-shattering theories came not in spite of those dull hours, but because of it. This seems particularly relevant today, when everyone wants to have started 4 companies by the time they turn 25. The world does not care what your title is. It does not care how many direct reports you have. It also does not care about your pedigree (or the lack thereof). Here’s what matters: having a new idea. Executing on your vision for it. Which is the term you should use to explain to your boss why you come up with such off-the-wall solutions. This is opposed to CONvergent thinking, which is what we usually consider mastery. You use convergent thinking to speak a language, do any math, or lift weights. Divergent thinking occurs when you remember that once you saw a contest on TV where strong men hurled big logs over a bar, so you set up a contest in your gym that involves chucking kettlebells over the soda machine*. Convergent thinking finds all the dots. Divergent thinking connects the ones nobody else does. I am stealing this description directly from author and psychologist Howard Gardner. In his seminal book — Creating Minds — Gardner points out that seven creative people who brought about modern era (of which he considers Einstein to be included) all made a Faustian Bargain. This is a common thread in many people who stand out, from pianist to CEO. An excellent yet tragic example is Pablo Picasso’s abysmal treatment of almost everyone he came in contact with as an adult. Einstein himself was not exactly a poster child for stable relationships, as you probably know. You probably also know he was poor at school. But it seems that energy was devoted intentionally to other things. He was more than willing to ignore them in favor of tackling the big ones. After all, if you don’t have dreams, what do you have?